Handicap showers from L.J. 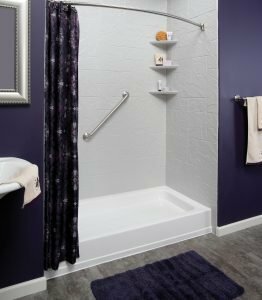 Stone Company, Inc. offer unobstructed access to the shower for people with limited mobility or physical disabilities living in Indianapolis, Muncie, and Kokomo, IN, and elsewhere in the region. No matter what type of shower you currently have in your bathroom, L.J. Stone can convert it into one of our handicap showers, which don’t require you to step over a high bathtub wall to access the shower. Depending on your physical challenges, one of our handicap showers may enable you to bathe yourself without needing someone else’s help, and L.J. Stone is proud to offer a product that can make such a difference in your life. Founded in 1967, we’ve completed tens of thousands of residential bathroom installations, and our longevity is testament to the fact that we treat every job as though it were being performed in our own homes. That means we install only high-performance, long-lasting products, and we carry out each installation with meticulous care. You select the solid color, granite finish, or marble finish you like best. Regardless of what color or finish you choose, you can have your shower walls and floor molded in a variety of patterns that simulate tile. You decide what accessories you want built in to your handicap shower, with options such as built-in bench seats, safety grab bars, and soap dishes available. To learn more about the freedom that can come with having one of these handicap showers in your home, contact L.J. 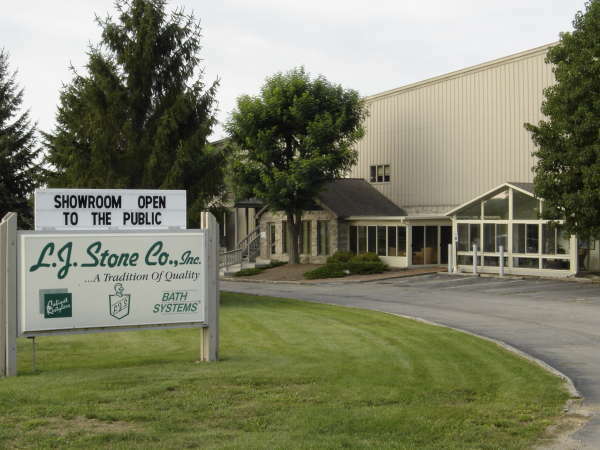 Stone, the most trusted installer in Indianapolis, Muncie, and Kokomo, Indiana, and elsewhere in the region. We install other bath products as well, such a bathtub liner, shower liner, or a tub with doors, known also as a walk in tub.